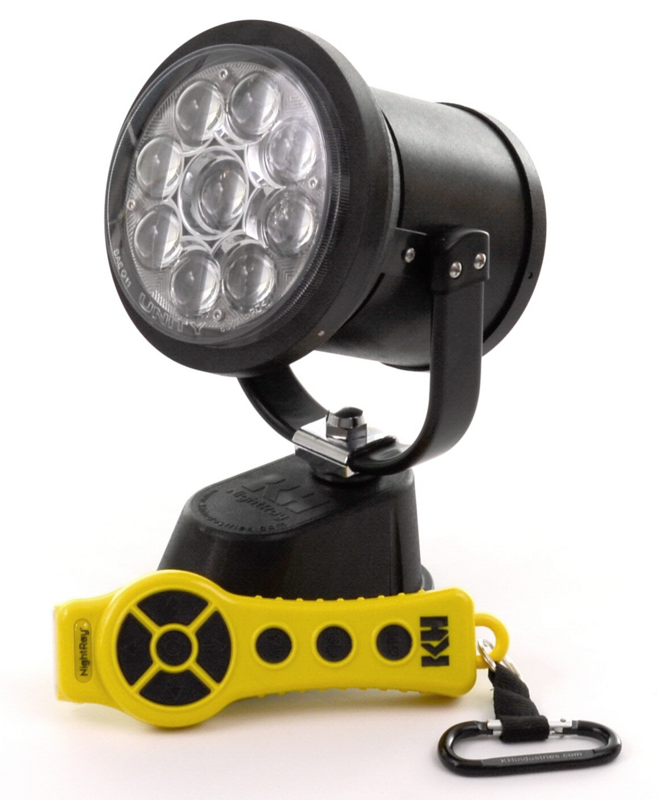 Light up the night from anywhere with the power of wireless remote LED floodlight. Features Unity LED U-8915 lamp, 12,000 candlepower, 36 x 36 degree beam spread, 50,000 hours of lamp life. Aimed by wireless remote, so that you are in control. Comes with single remote but more can be paired to the same light. Body rotates up to 370 degrees of horizontal rotation* and 250 degrees of vertical tilt. Open yoke design makes light dominate in ice, snow and salt water conditions. Durable poly-carbonate body resists breakage and holds up in rough terrain. Comes with 5 year limited warranty. 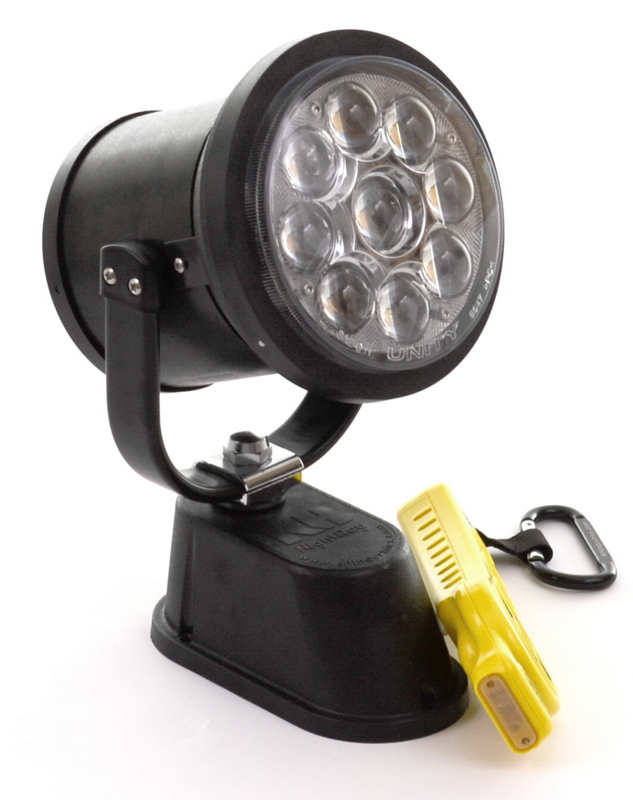 Great for any type of night time inspection including utility maintenance & repair, military, cranes, construction, fire & rescue and marine. - 370 degree of horizontal rotation* and 250 degrees of vertical tilt. - Snow, ice, UV, and salt water resistant. - Clear and consistent, noise free communication. Durable wireless remote in bright safety yellow color. Ergonomic design with large buttons and comes with built-in LED Flashlight. Designed for extreme cold weather conditions - frigid temperature, ice and snow. One remote can control up to two NightRay Units. * The light cannot continuously rotate around it can move just over a full turn before needing to move back the other direction.